The two parties choose to go their separate ways. They haggle back and forward over who gets what, and finally, they sign an agreement to that effect. If they can’t agree on who gets what, then the asset is usually sold and the proceeds split between the two. 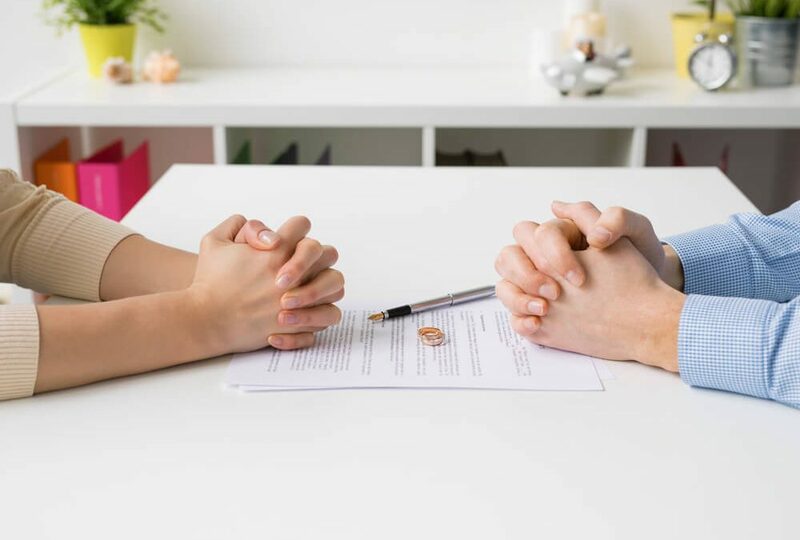 In this article, we will look at some of the more common situations which need to be addressed in your Will, specifically if you have a family. The first dying spouse leaves their estate (everything they own) to the last surviving spouse. By the way, the male drafting a will is known as a Testator and the female is known as a Testatrix. Usually, there’s a clause in there somewhere which states that the surviving spouse must outlive the first dying spouse by thirty days to inherit under the Will. But what if the situation is not so easy? This scenario pretty much depends on whether children are involved. By children, we mean anyone younger than 18 years of age. If no minor children are involved, then it’s a simple matter of moving along to scenario three which we’ll get to right after this. Who gets to take care of the children? Who gets to manage their finances until they’re old enough to make their own decisions? Who will take care of the children’s needs? The person fulfilling this role is known as the guardian. In fact, you can also nominate an alternative guardian for just in case. We think it would be wise to consult with these individuals prior to nominating them as guardians. No-one appreciates this type of surprise, and there’s a good chance they could refuse. And while it’s all fine and dandy getting the guardian’s consent; what about the financial provision for your children? Having three children dumped on the veranda without a cent to provide for them is certain to raise stress levels in any household. Just because you can trust them to act as a guardian, doesn’t mean you can trust them with your children’s R10 million inheritance, right? Who will manage their finances until they’re old enough to take care of themselves? Let’s talk about life insurance and endowment investments for a moment. With each of these, you have the option of nominating beneficiaries. You won’t believe how many people nominate small children as beneficiaries. So let’s say you nominate your four-year-old daughter or son as beneficiary. There is just no way that they can manage & invest the R1 million lump sum you leave to them. On top of that, if your child is nominated as a beneficiary, it does not mean that the guardian suddenly replaces them as beneficiary. In this instance, the R1 million goes to the Guardian’s fund on behalf of your child until they turn 18. The other alternative is to set up a Testamentary Trust in terms of your Will until the child turns 18, 21, or 25 (or whatever age you nominate). A Testamentary trust only kicks into existence upon your death in terms of your Last Will and Testament. A Testamentary trust, whilst having no cost involved when drafting it into your Will, does have costs once it kicks into action. These costs, although regulated, can be substantial and need to be factored into the equation. So, don’t go thinking that if you leave R1 million to your child, that they will receive R1 million once they reach 18. A financial advisor can assist with calculating the amount of life cover you would need. The second problem is that your life insurance and investments must flow into your estate to get into your Testamentary Trust. before ever reaching your Testamentary Trust. Having a financial plan done at the same time as drafting your Will is useful since it would identify potential liabilities and Executor’s fees. We would recommend going with a Testamentary Trust. Just realise that the younger the children – the higher the costs. Yes, this sounds awful but it happens so often. The family is on their way to Durban on holiday, and next thing there’s an accident. Who now gets the assets and life insurance? In most instances, close family members are nominated. For instance, moms and dads, brothers and sisters on both sides of the family – his and hers. The most complicated scenario is where children are left behind. Choosing a guardian who deeply cares about your children, and who get along with them, is vital. Importantly, don’t leave the guardian in a cash flow crunch. Secondly, weigh up the pros and cons of setting up a Testamentary Trust. Most of us with children don’t have an option, so it’s important to make sure you’re aware of the costs involved. Once again, making the drafting of a Will part of your estate plan is beneficial. Your family will thank you for it.